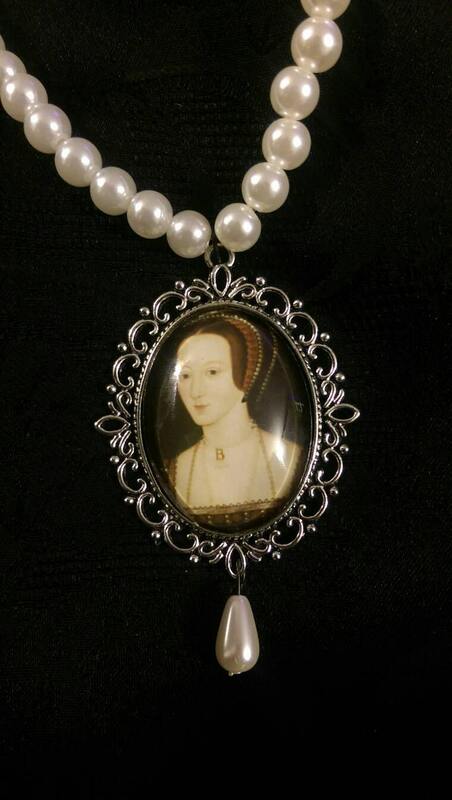 The National Portrait Gallery image of Anne Boleyn set in a cameo pendant on a 17 1/2 inch strand of glass pearls with a single glass teardrop pearl attached to the bottom of the pendant. 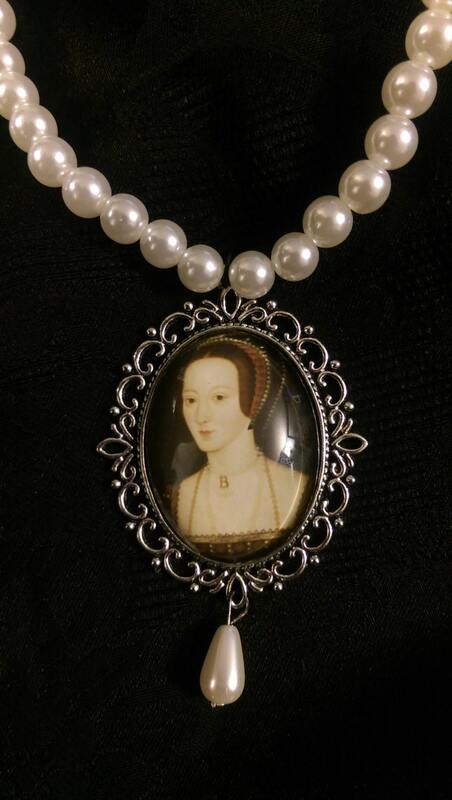 When ordered, this necklace will be knotted in the same style as the Anne Boleyn "B" pearl necklace that I offer to prevent the strand of pearls from breaking and scattering as many pearl necklaces do. 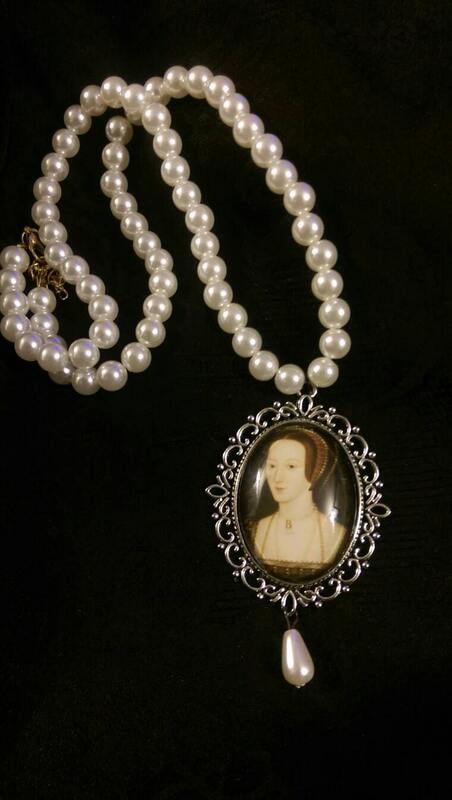 This style can be done with any image you would like, please message me with your ideas, I'd love to create something for you!